Home > How can you measure the value of a webpage? > How is MozRank different from Moz Page Authority? 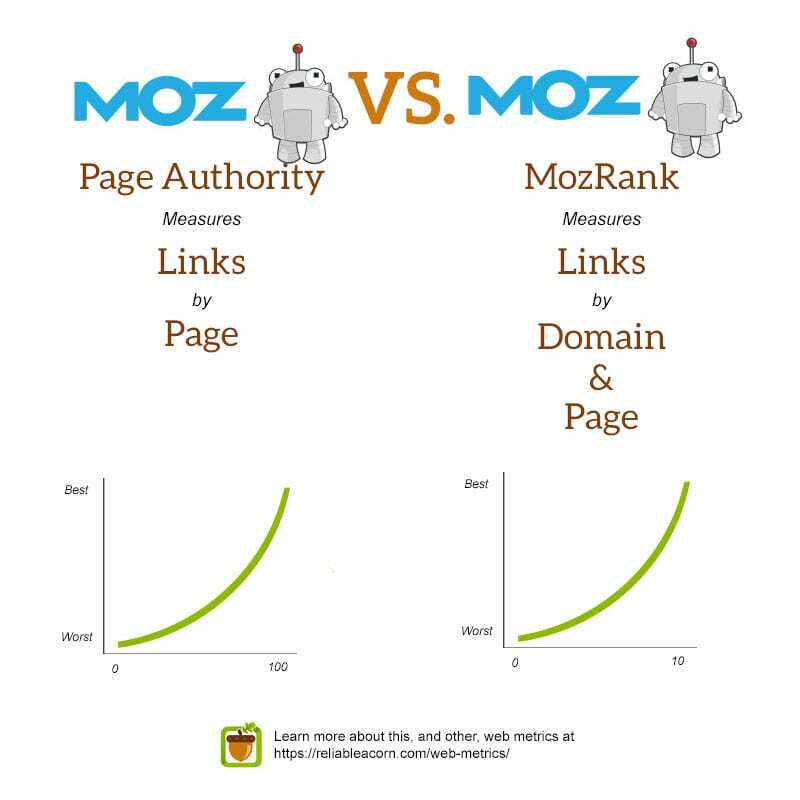 How is MozRank different from Moz Page Authority? MozRank is based on an exponential scale between 0 to 10 and is calculated based on the number and quality of the pages linking to them. It can be applied to a page, or an entire domain. Moz Page Authority is based on an exponential scale of 0 to 100 and is calculated using MozRank, MozTrust, and dozens of other factors. In this case, it can only be applied to a particular web page.